Hello Vida Juicer. My name is Lionel Paul Correia and today’s Wellness Wednesday topic is “How to Naturally Regulate Blood Sugar”. Regulating your blood sugar is an important part of being healthy. Whether you are trying to lose weight or control diabetes, knowing how to regulate your blood sugar can make a significant difference in how you feel. In fact, controlling your blood glucose now can help to prevent health complications in the future, including nerve problems, and eye and kidney damage. The following tips will help you keep those numbers under control, so you can protect your long and short-term health. You’ve heard it a thousand times, but it is still true – exercise is one of the best things you can do for your body. Getting as little as 20 minutes of intense exercise up to four times per week will help you control your blood sugar. Your body uses glucose to create the energy needed for exercise. Your muscles rely on the glucose within their tissues initially, but those reserves don’t last all that long. When they run out, they turn to the glucose in your bloodstream to get what they need for energy. The result is lower blood sugar, and when performed regularly, it can even help increase your body’s sensitivity to insulin. Foods that are high in soluble fiber, such as nuts, seeds, green vegetables, and whole grains have an impact on your blood sugar levels. When you eat these foods, the soluble fiber causes your stomach to empty more slowly. This helps to provide better control over the absorption of carbohydrates, minimizing the spikes and subsequent drops that many see after eating meals. Since the foods are not digested as quickly, it makes it so that your body doesn’t need as much insulin to cope with the carbs entering the bloodstream. Healthy fats like those that come from fish and olive oil are great for regulating blood sugar – especially when they are eaten with carbs. Typically, carbohydrates are digested very quickly, which results in a significant spike in blood glucose levels. When you pair these carbs with healthy fats, they slow the process of digestion. This slow-down results in the carbs entering your bloodstream much slower, helping your body to manage blood sugar levels in a more controlled manner. Making a conscious effort to keep unhealthy saturated fat consumption at a minimum will go a long way in helping you keep your blood sugar under control. Recent studies have shown that there may be a correlation between antioxidants and blood sugar control. Vitamin E, zinc, and selenium have been studied for their effects on keeping glucose levels in the blood within a normal range. Adding more red and blue berries, leafy greens, seafood, walnuts, vegetables, and red meat can provide these antioxidants and help you keep your blood sugar regulated. This is where juicing helps. Remember by juicing we are feeding our body phytonutrients, vitamins and minerals and many other micronutrients our body’s deserve and need. 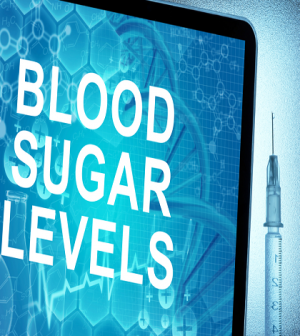 Controlling your blood sugar needs to be an important consideration for those who are trying to lose weight, already have diabetes, and those who are at risk for the disease. These tips will help you regulate your glucose levels naturally and help prevent future disease and health problems. If you have questions leave us a comment or just give us a big thumbs up! Have a great rest of the week and remember juice strong to live long!